A stage adaptation of the hugely successful 1950 Academy award winning drama “All About Eve” is heading to London next year. Gillian Anderson is to play a role made famous by Bette Davis when she takes the lead in a West End stage adaptation of the 1950 film “All About Eve.” Details were announced of a new production by one of the world’s most in-demand directors, Ivo Van Hove with music by PJ Harvey. The film tells the story of legendary Broadway star Margo Channing (originally played by Bette Davis) whose career is threatened by a beautiful young fan, Eve. Anderson plays Channing, who has the memorable line: “Fasten Your Seatbelts, it’s going to be a bumpy night!” Lily James will play Eve, following in the footsteps of Anne Baxter. All About Eve received a record-breaking 14 Oscar nominations and is still the only film to receive four female acting nominations. It ended up with six, including best film. 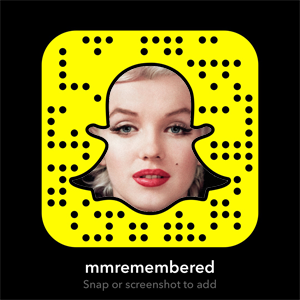 It is unclear who shall be playing the minor but memorable role that Marilyn Monroe had as Miss Caswell, but we wish them all the best! It will be running from 2nd February – 11th May at the Noel Coward Theatre in London. Tickets are selling fast, so don’t miss out! 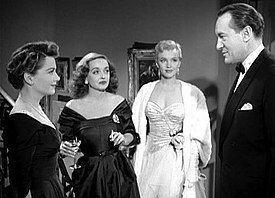 L-R Anne Baxter, Bette Davis, Marilyn Monroe and George Sanders in the original 1950 film.